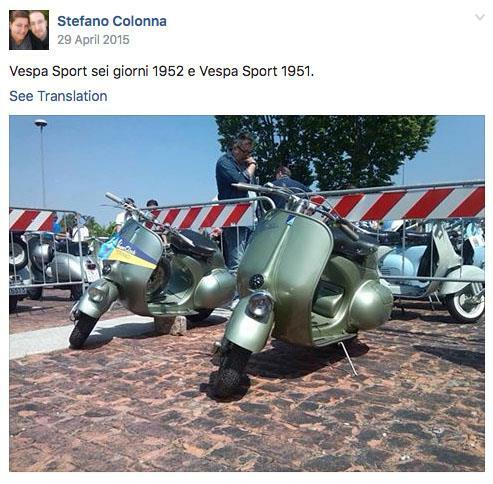 Vespa's new limited edition Sei Giorni, built to pay tribute to the original 1951 Sport Sei Giorni, is reportedly the most powerful and technologically advanced Vespa to date. 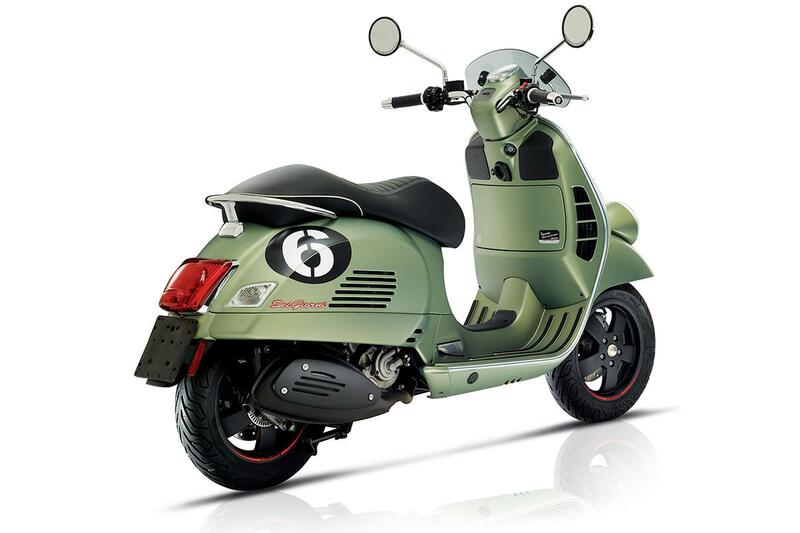 Based on the Vespa GTS, the Sei Giorni is powered by a Euro4 compliant 300cc single-cylinder four-stroke engine that produces 21bhp at 7750rpm and 16ftlb of torque at 5000rpm, making it A2 licence-friendly. 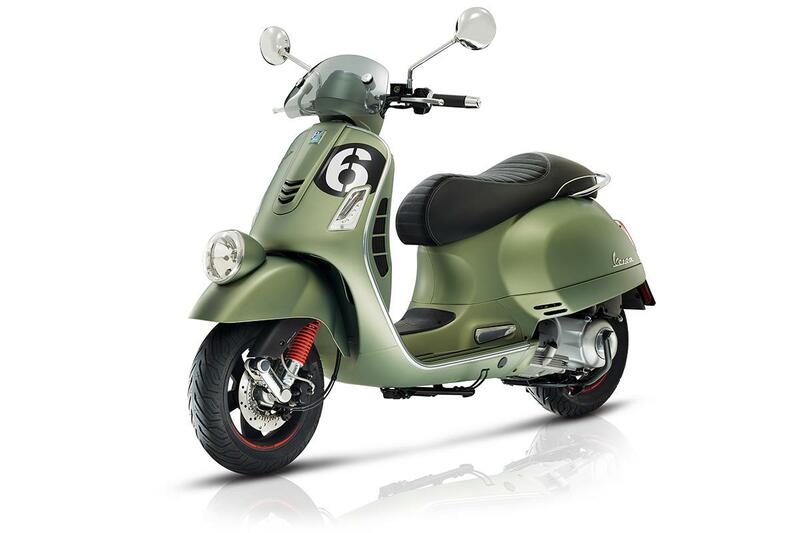 The Sei Giorni receives its "most technically advanced Vespa ever" title because of a USB port inside the glovebox, LED daytime running lights and ABS (which is a requirement of Euro4). 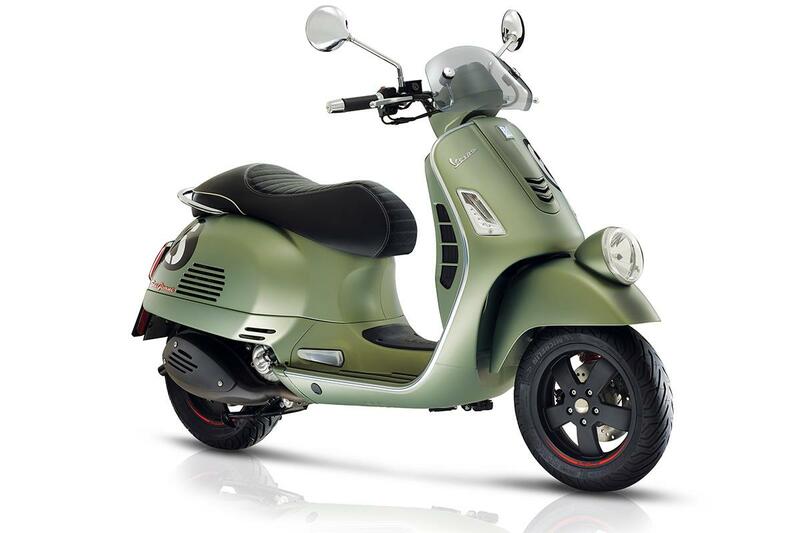 The latest Sei Giorni features a low-position headlight, burnished windscreen, black numberboards and a seat which appears to be built for a single rider, however has been approved to carry a pillion. 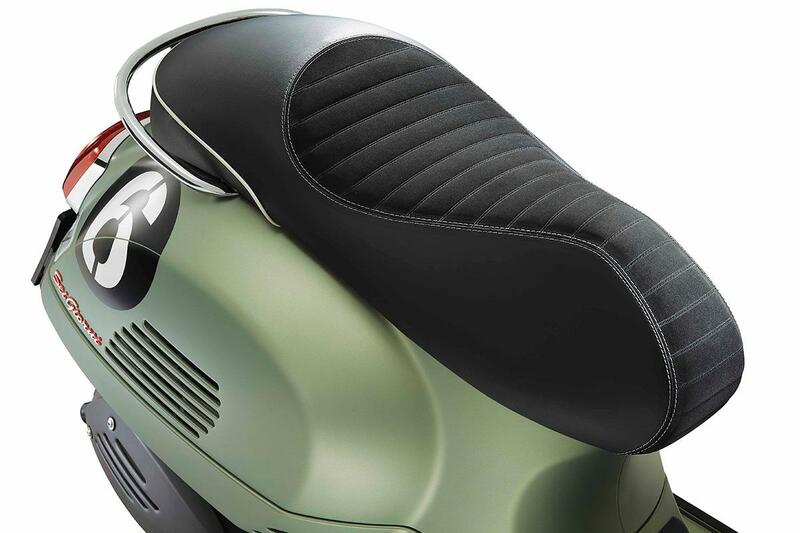 A range of accessories will also be available for the Sei Giorni, including front and rear luggage racks, thermal leg cover, an anti-theft system, a Tom Tom Vio GPS unit and the Vespa Multimedia Platform. 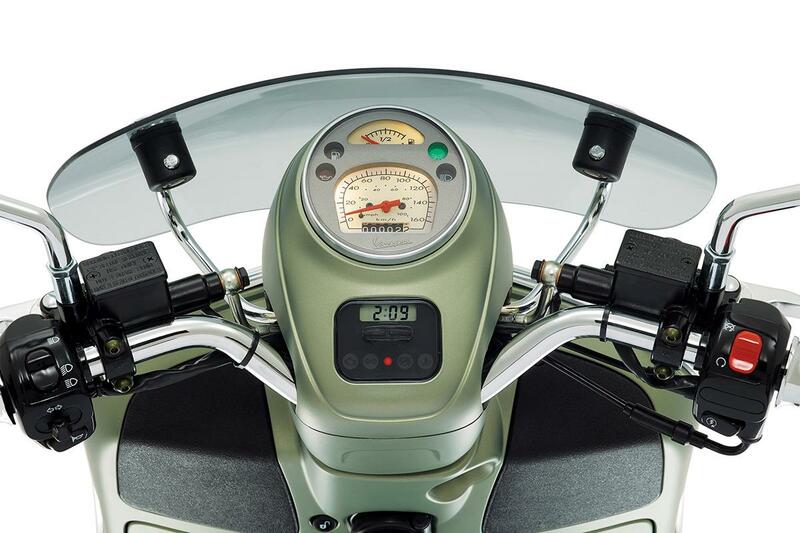 The multimedia platform allows your phone to communicate with the scooter, allowing it to display information such as speed, revs, trip information and more. The original Sei Giorni was built in 1951 for the Sei Giorni Internazionale regularity rally. Ten Vespa Sei Giorni's lined-up at the start, and despite competing against much more suitable motorcycles, Vespa walked away from the event with nine individual gold medals. Originally only 300 Sei Giornis were built, and as such any surviving models are now highly sought after by collectors.